I have been the President, CEO, and principle of KKW Trucking, Inc. since 1967. I was short on experience but long on energy and at the ripe old age of 22 I took over the Unionized 9 tractor 10 trailer operation located in South Central Los Angeles. In those days Southern California was home for many major furniture manufactures many of which relied on KKW and a host of other specialized furniture carriers to move their products to market, all of which was shipped blanket wrapped to the furniture dealers throughout California. 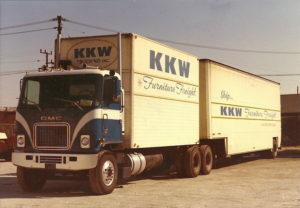 During the next decade KKW obtained interstate operating authority and grew into one of the largest and most successful specialized furniture LTL carriers serving California and the other western states. In the mid 70’s Furniture Transportation Systems was formed to serve as a warehouse for the larger chain stores and KKW/FTS began to consolidate smaller shipments of furniture from a variety of So Cal manufactures into truckloads destine for its larger customers. Names like John Brueners, Levitz Furniture, JC Penney, McMahans, and Sears have all been customers that have capitalized on the one stop shopping provided by our consolidation service. 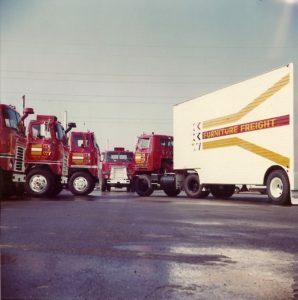 The deregulation decade of the eighties witnessed KKW/FTS leaving the LTL market entirely to concentrate in the business of consolidating truckloads for the larger furniture customers located in all parts of the west. 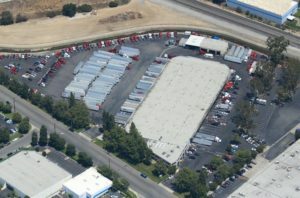 We designed and built a 100,000 sq ft, 52 door, and state of the art cross-dock warehouse on 10 acres of ground in Pomona, CA to handle our thriving truckload consolidation business. In our hey day, long before 3 PL’s became popular, we were arranging door to door service for our customers. This included picking up, unloading, consolidating, re-loading, and delivering up to 50 truckloads of furniture a day throughout the west for our retail customers. It was all destine to change in the 90’s. Between buyouts, mergers, and customers moving to their own facilities we found ourselves in an empty building and many idle trucks. We quickly redesigned ourselves again in the late 90’s and evolved from a specialized furniture carrier into a low cost general commodities interstate truckload carrier. We gained a lot of education during this last change in finding ways to operate a highly efficient trucking operation in order to compete with the larger low cost truckload carriers. I must give credit to many of our loyal drivers and warehousemen that helped the company by voting out an archaic Teamsters contract which very much helped streamline our operations and stay competitive in a non-union marketplace. In the late 90’s and through the turn of the century, driven by the needs of our customers, we added our dedicated business units, warehousing, consolidation, trans-loading and most recently added our logistics operation. We have discovered that we are now able to create very powerful synergies between these different operations and in the last few years have concentrated on blending the strengths of each to solve some of the more complex distribution challenges presented by some of our customers. I believe that we’re the right people, in the right place, at the right time to take our integrated businesses to a new level of performance in providing information and transportation services that will day in and day out exceed our customers’ expectations.